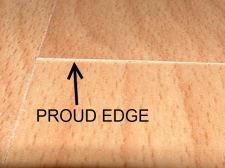 This is my Home Depot Pergo Presto laminate review based on me installing it in a home. 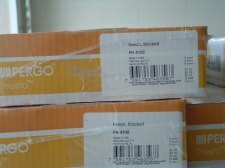 Pergo presto is exclusive to Home Depot. It carries a 25 year warranty, it is 8mm thick and had to be installed over a pad. 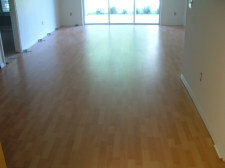 The color is beech in a block pattern which is a lighter color with smaller blocks. My client paid 2.48 per sq/foot at home depot. The padding was .60 per sq/foot. The cost is a little high, at over 3 dollars a sq/foot with the padding. The Pergo Presto I installed was easy to work with as far as connecting the planks together. I was able to tap the joints together laying flat on the floor. The finish didn't seem to be very durable. The side joints were flat and smooth, but I noticed the end joints would have a proud edge (on side higher than the other. Sometimes it would be bad enough to where I would have to take the plank out and replace it with another. I would find somewhere else to use the bad plank after cutting off the end. 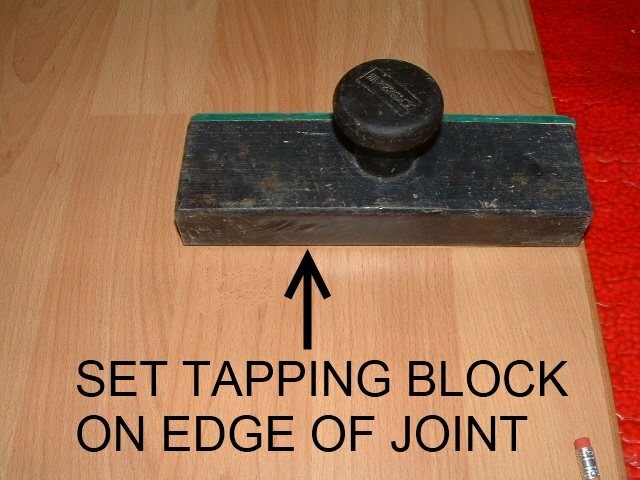 Other times I would use my tapping block to flatten the joint. 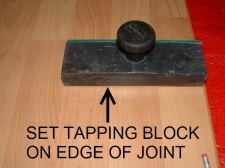 I put the tapping block along the raised up side of the joint as close to the edge as possible. Then I tap the top of the tapping block with a hammer to even the two sides out. Most of the time this would work, if not I would replace the board. 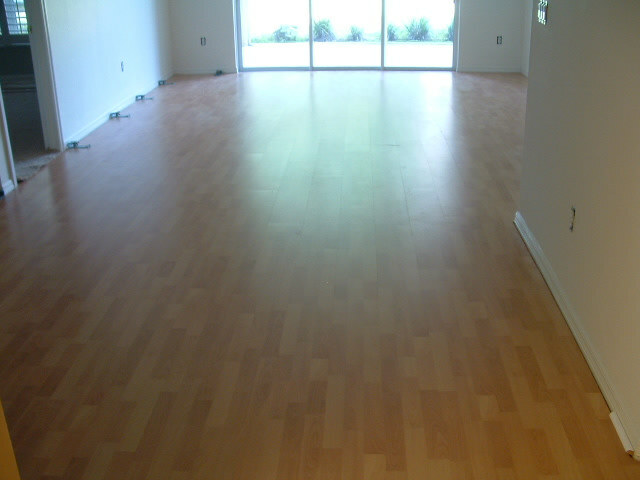 This is the before photo of the living room before I started installing the laminate. 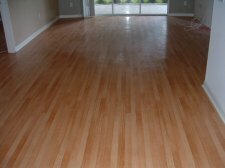 Your eyes are probably doing a double take as this floor looks like a wood floor. 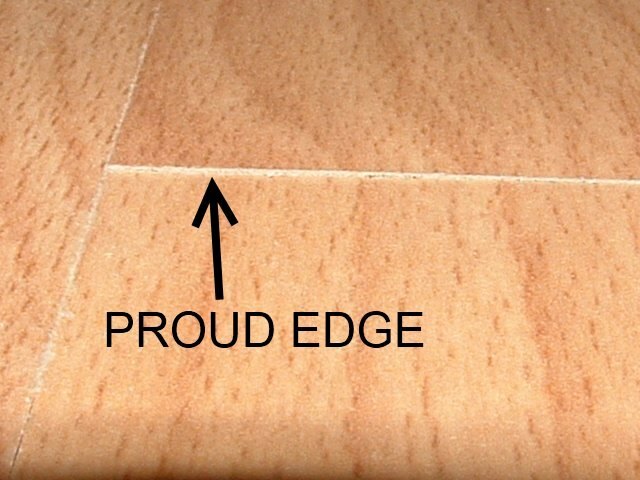 It is actually vinyl flooring. You can't see it in this photo but it is pretty scuffed up. 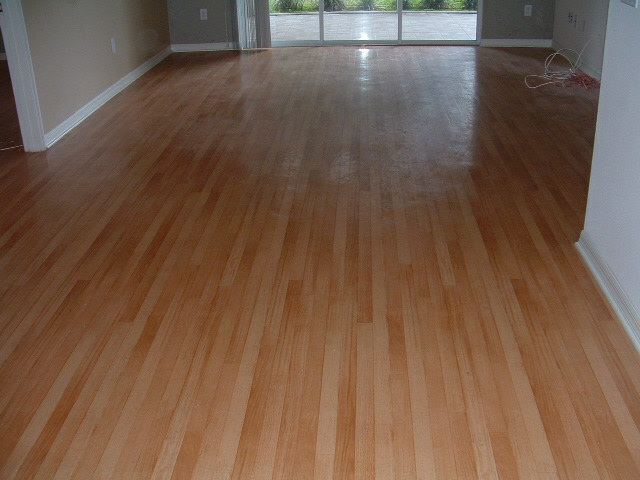 Here is the finished living room after I installed the laminate. 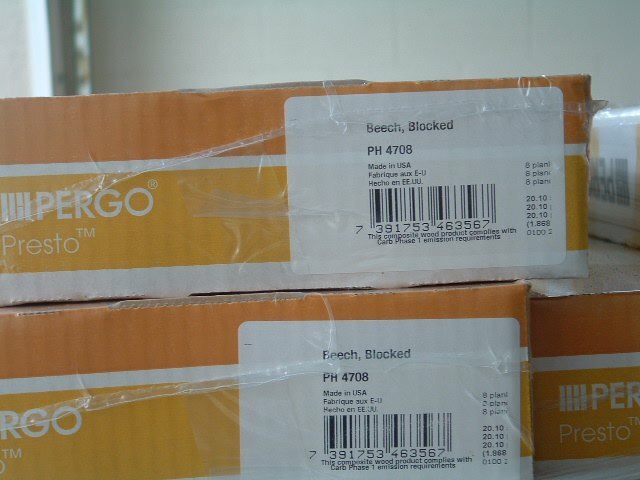 This Pergo Presto laminate flooring will last a lot longer then the vinyl flooring that is being covered. Overall the floor looked good, but for the money I think there are better deals out there. The quality wasn't what I would expect from Pergo considering the cost.